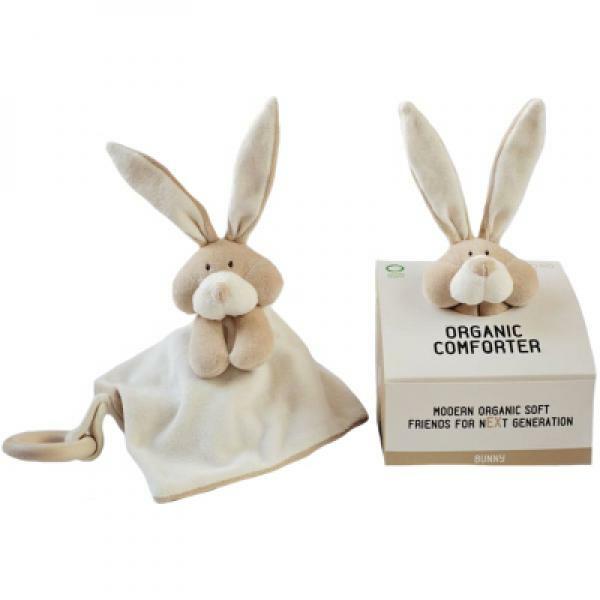 Soft and fluffy comforter is an excellent sleeping friend for your little one.Comes with wooden teether that provides comfort and relief during Teething. 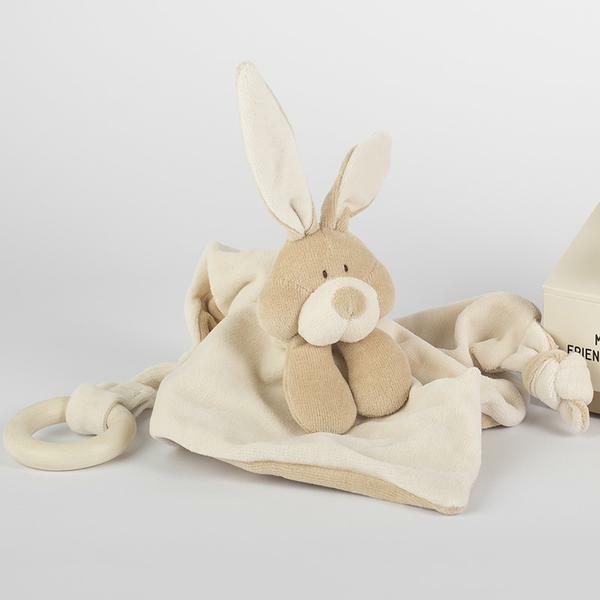 Teether can be easily replaced with soother and than this sleeping toy doubles as a comforter and soother holder. It helps babies find Their soother by themselves at any time. Wooden ring - maple wood treated with natural beeswax.